What with the recent controversy over a certain Texas Evangelical minister accusing a certain high-profile Mormon of being a non-Christian — because Mormonism is, according to this minister, a non-Christian cult — I thought I’d briefly address this criticism that has been repeated ad nauseum for the past two hundred years: are Mormons Christian? Students and visitors vainly vying for seats in the full auditorium. Photo courtesy Christopher C. Smith. On Wednesday night at Brigham Young University, a panel of three self-identified homosexual students and one bisexual student talked openly regarding their struggles with their sexuality and how they have coped with their same-gender attraction along with their Mormon faith. All four students were attending BYU and had committed to living Church standards and the BYU Honor Code. After being quoted in a Washington Post article regarding the LDS Church’s evolving positions on race, popular BYU religion professor and LDS author Randy Bott has been accused of making racist remarks while defending the LDS Church’s historical ban on blacks from the church’s priesthood. 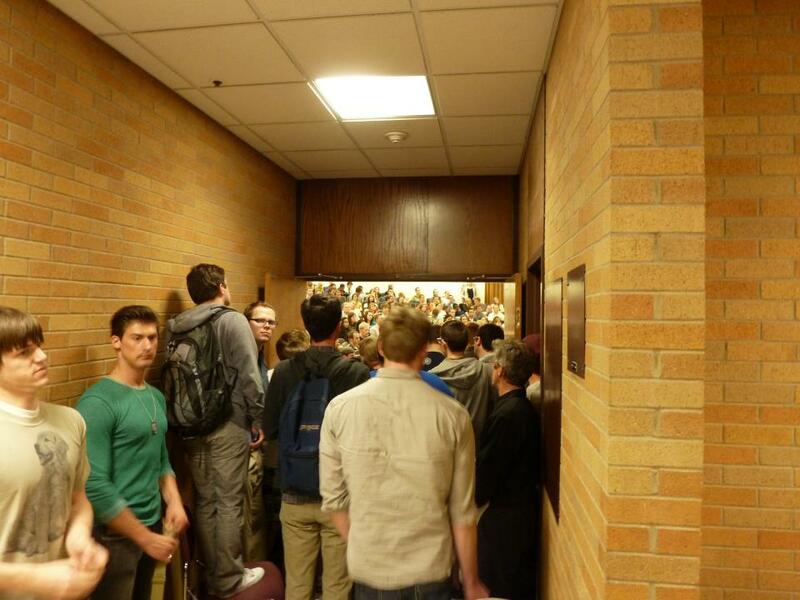 On Tuesday the story began to go viral on social networking sites, leaving many BYU students deeply divided over whether Bott’s comments were appropriate.